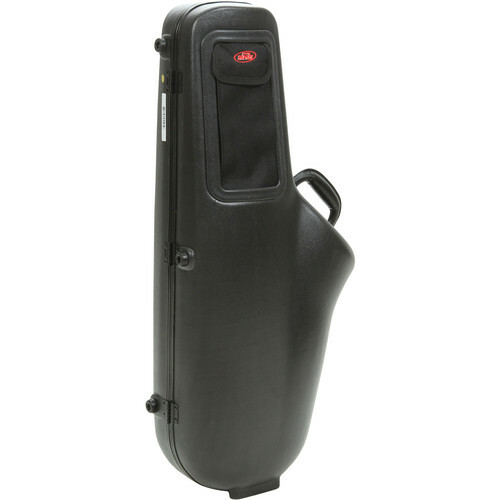 The SKB Contoured Pro Tenor Sax Case is outfitted with "stuff" pouches on the exterior of the case and includes black hardware and an ergonomic handle design. It also includes an interior compartment for the neck and mouthpiece. An optional adjustable shoulder strap can be purchased separately. Box Dimensions (LxWxH) 34.5 x 15.5 x 8.75"
Does the SKB pro fit the Cannonball Stone Big Bell Tenor sax?